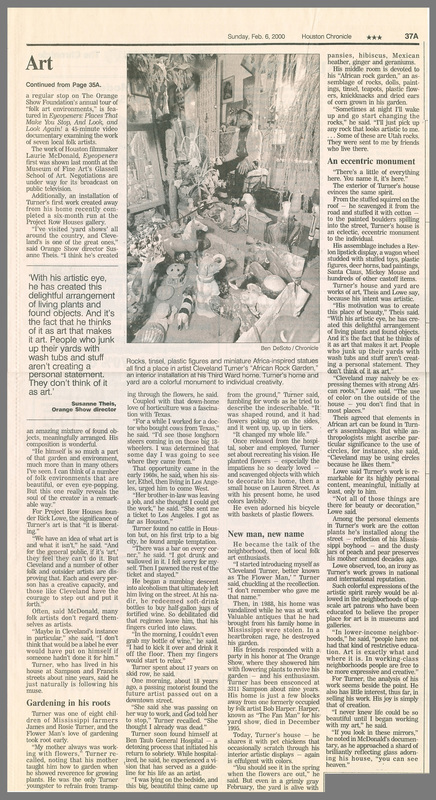 A house covered with beer cans, a tribute to the orange; Eyeopeners features seven Houston, Texas, folk art environments, eye-opening creations that are monuments to the wonders of ingenuity and imagination. Expressions of profound instincts and powerful urges, the Eyeopeners sites remind us of the unselfconscious heights of expression that self-taught artists can attain. The video features the artists on-camera talking about these personal journeys and the forces that motivate their work. The artists lead the viewer through their environments, unfolding their stories as they go. 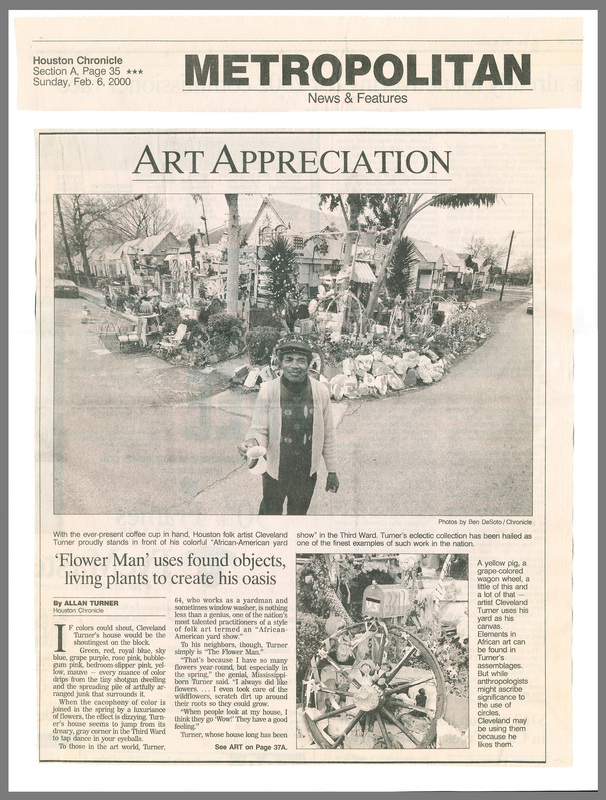 Sites and artists featured in Eyeopeners include: The Orange Show, The Beer Can House, The Flower Man, The Fan Man, Sylvester Williams, Howard Porter, and Grace Greene (best known for her button-covered antique mannequins). In the collection of the Museum of Fine Arts, Houston, USA. 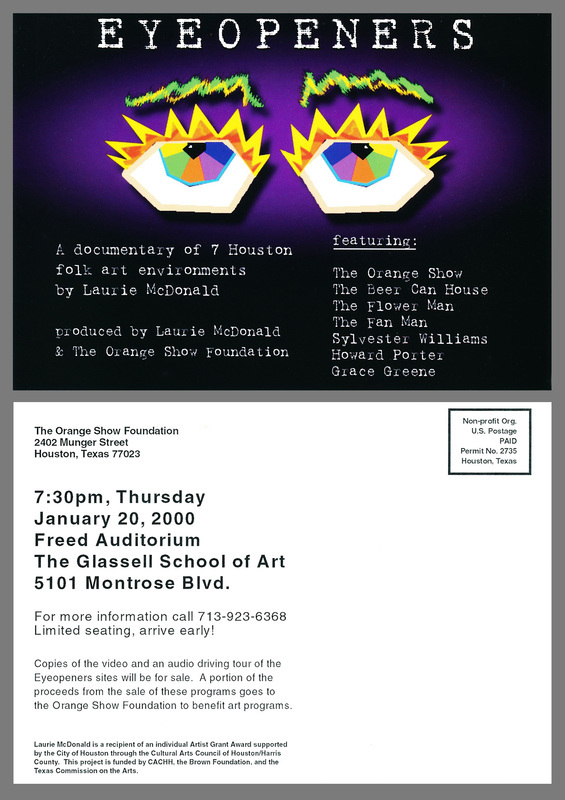 Museum of Fine Arts, Houston, 2000 and 2014.